The Great Elephant Census carried out in 2014 produced horrifying statistics showing significant losses of elephant populations in the Middle and Lower Zambezi Valley areas (Sebungwe, Matusadona, Mana Pools, Sapi & Chewore) since 2001. 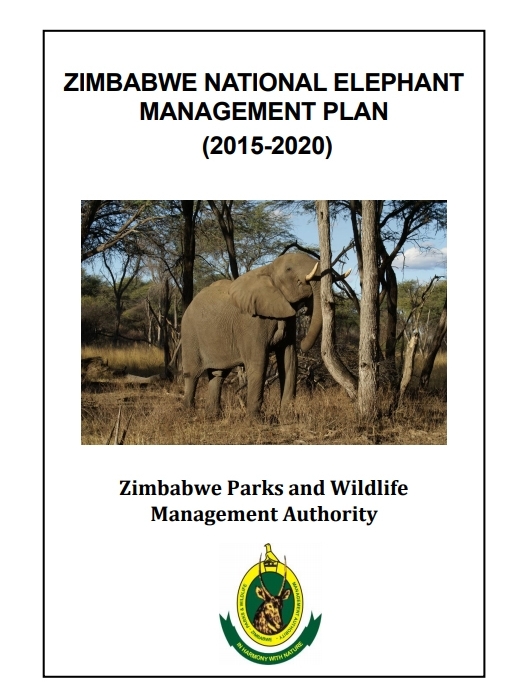 As a result of this an emergency Elephant Management Plan was developed in 2015 in collaboration with the private sector (the Zambezi Society helped to co-ordinate this) and efforts to step up anti-elephant poaching activities in these areas have been prioritised at the highest level. 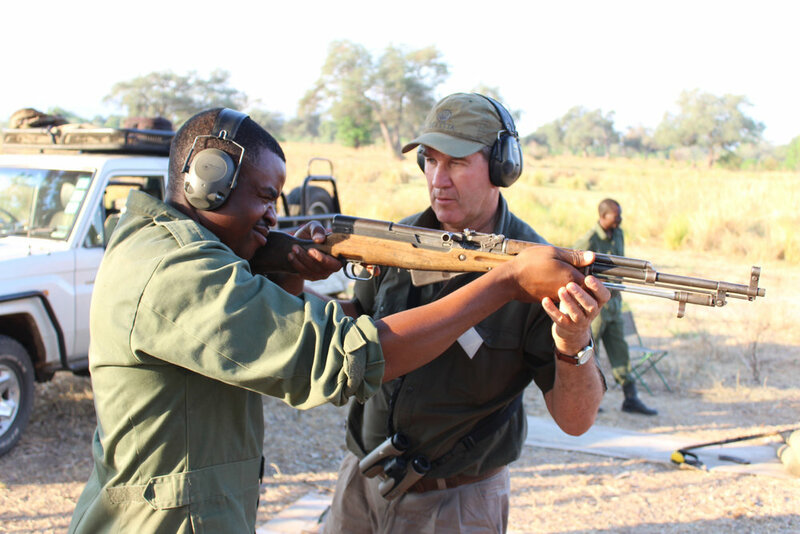 The Zambezi Society is running a series of multi-day weapons refresher training courses for National Parks rangers based at Zambezi Valley stations in an attempt to improve the success rates of patrol “contacts” with armed gangs of poachers. Since the courses began in 2016, there has been a significant improvement in the outcome of engagements with poachers and a number of successful arrests and fatalities have resulted. The courses boost the morale and confidence of National Parks rangers who are poorly funded and whose significant contribution to protecting wildlife in remote areas under harsh conditions is often overlooked. 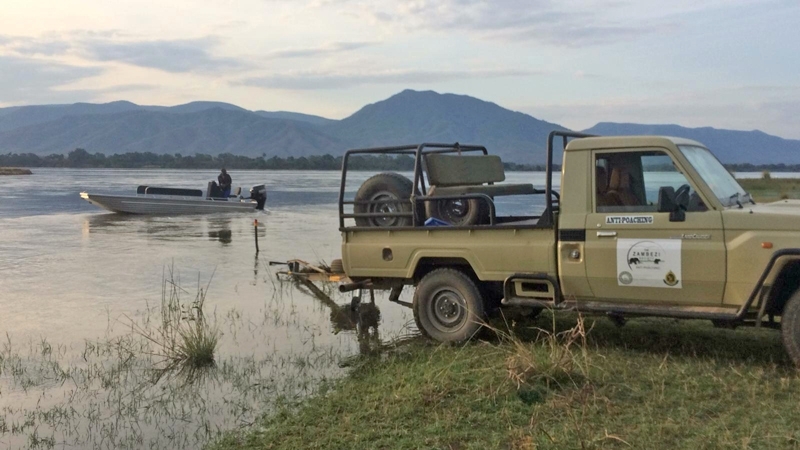 The Zambezi Society also assists Mana Pools National Park with ranger boat patrols and rapid reaction "call-outs" along Zambezi River out of Nyamepi HQ in a special flat-bottomed aluminium boat purchased for the purpose, and driven by a coxswain employed by the Society. 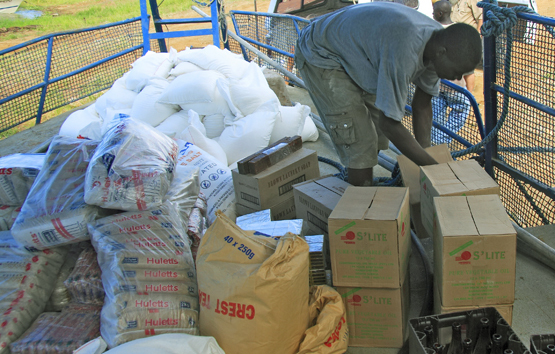 The Zambezi Society sources basic food supplies and delivers them to National Park stations for distribution to anti-poaching rangers on patrol. The ultimate goal is to provide alternative meat supplies for entire stations in order to reduce the level of “ration hunting” i.e. shooting wildlife for meat supplies which is currently prevalent at National Parks stations in remote areas. The Zambezi Society has vehicles with dedicated, privately-funded, drivers based within the Mana Pools and Matusadona National Parks. These provide swift reaction to any poaching incidents, and assist with anti-poaching ranger deployments, and intelligence-gathering activities. 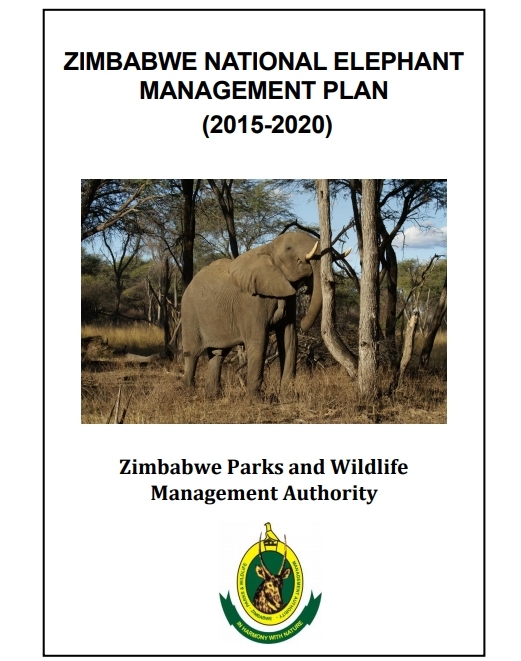 The Zambezi Society assists ZimParks with selected infrastructural support. We assist with funding the construction and supply of temporary anti-poaching “fly-camps”in remote parts of the National Parks during the rainy season months, when poaching incursions are at their highest. The Society also supplies basic equipment essential in anti-poaching work e.g. 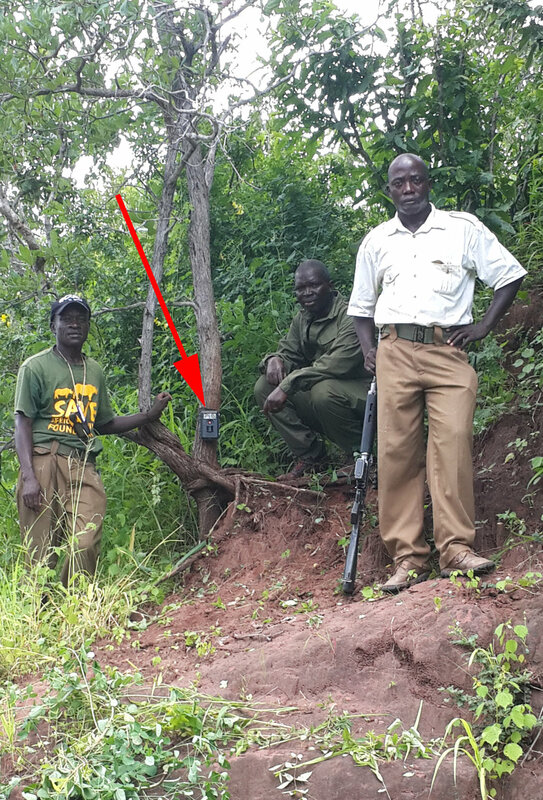 radio batteries, GPS systems and camera traps (which can be useful in detecting poacher incursions along remote wilderness paths). This involves sensitive under-cover work with informers living and working in the areas surrounding Zambezi Valley National Parks most vulnerable to elephant and other wildlife poaching. Information and intelligence gathered about illegal activity is collated and stored via a centralised system and is used to assist in apprehending poachers and bringing them before the courts for appropriate sentencing. 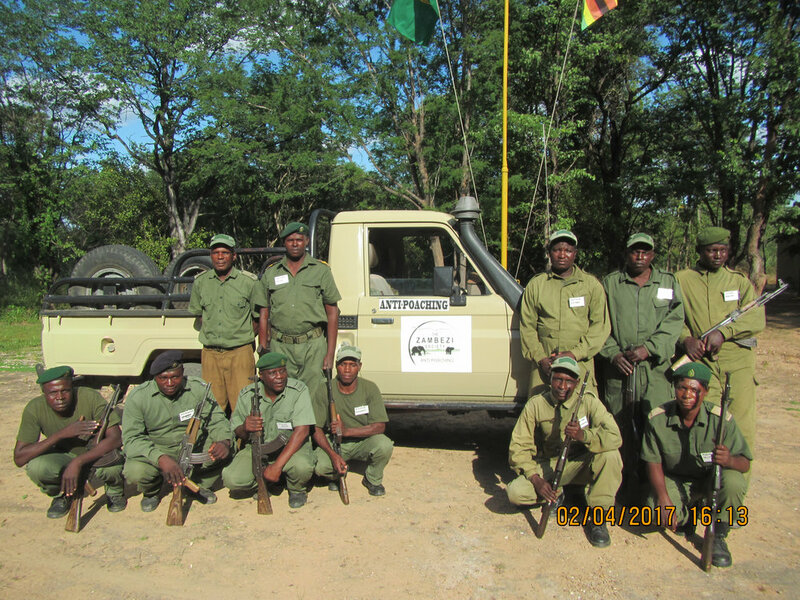 The Zambezi Society provides vehicle and equipment assistance for such activities, and raises funds for rewards paid to individuals for successful anti-poaching outcomes. The Society and its collaborating partners also keep a constantly updated database of Illegal Wildlife Crime which tracks the progress of all arrests and court cases until their conclusion. 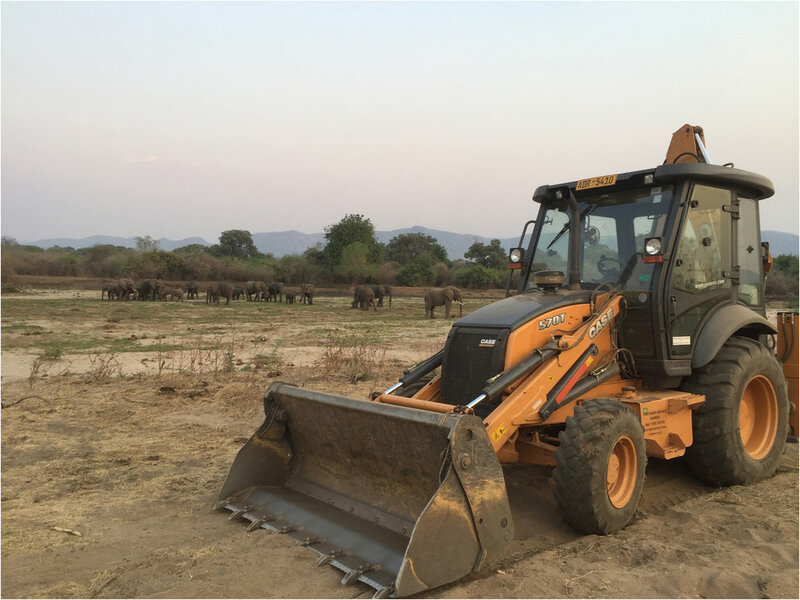 With funding assistance from the Elephant Crisis Fund in 2015, The Zambezi Society purchased an earth-moving TLB machine which is helping to clear and open up remote roads in the Zambezi Valley National Park areas. This work is vital for allowing anti-poaching ranger deployments into the more remote areas of the Parks. It is also useful for opening new areas for potential tourism development. We advocate for retaining the Zambezi's wilderness values, and for holistic, long-term, management planning for the whole Valley. 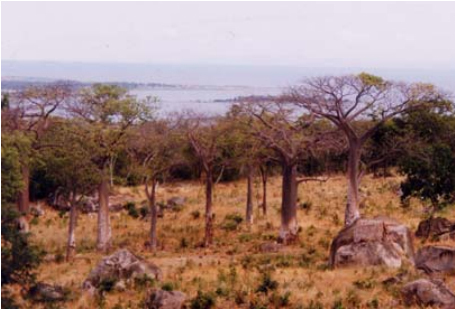 The Zambezi Society has long advocated for the preservation of the unique, and globally-recognised, wilderness values of the Zambezi Valley . Our current focus is on achieving this through holistic management planning for the entire mid-Zambezi Valley complex (including the World Heritage Site (Mana Pools/Sapi/Chewore) and the wider Middle Zambezi Biosphere Reserve), initially for the Zimbabwean side of the Zambezi River, but ultimately for both sides of the river. The African Wildlife Foundation has provided funding for this holistic planning process and the Zambezi Society is an active stakeholder in the process. UNESCO requires regular reporting on the state and management of its designated Biosphere Reserves and other protected areas. The Zambezi Society is assisting Zimbabwe’s Mana and Biosphere committee with such reporting for the Middle Zambezi Biosphere Reserve declared in 2010. 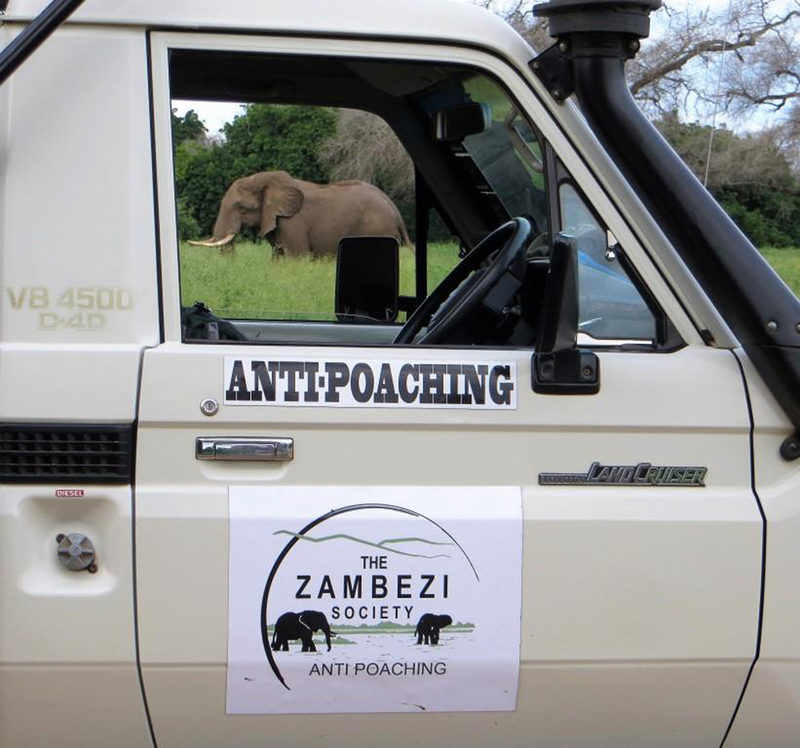 The Zambezi Society acts as an independent watchdog , monitoring any developments (e.g. mining proposals, tourism projects which could have a detrimental impact on the biodiversity or wilderness values of the Zambezi Valley. We actively take part in any Environmental Impact Assessment processes, mobilising support by reaching out to our local, regional and international support base through Social Media and other outlets. We make constructive suggestions to mitigate damaging impacts, and, if necessary, will strongly oppose developments that we consider unsuitable. The Zambezi Society creates awareness about unsuitable or inappropriate human activities/behaviour in National Park or wilderness areas and assists ZimParks in drawing up Codes of Conduct for visitor behaviour in sensitive wildlife environments like Mana Pools and Chitake Spring which are popular with tourists. We engage communities and create awareness about the value of wildlife and conservation. The Zambezi Society is working with the leaders of communities and villages which border on the Zambezi’s National Park areas to create awareness of the need to conserve wildlife resources. We are actively seeking the help of the community to find ways to combat poaching and to protect trees and habitats from destruction by unsustainable agricultural practices (e.g. curing tobacco by burning hardwoods). We are also assisting with selected community infrastructural projects (e.g. upgrading school classrooms) and with encouraging conservation education and training of potential young rangers from the communities in these areas. Creating awareness about the importance of wildlife and wilderness resources among schoolchildren is a long-standing activity of the Zambezi Society. In rural areas bordering National Parks, we provide basic educational materials and run awareness activities like poster competitions to engage the interest of the children. In urban areas, schools like Chisipite Junior have long-standing programmes encouraging children to fund-raise for the Zambezi Society’s activities to protect endangered species like rhino and elephant. The Zambezi Society assists with occasional research projects in its area of interest – the Zambezi Valley, and keeps an historical archive of publications relating to biological and environmental research carried out within this area. This is a useful resource for academics and researchers. Publications from 1998 are available online as PDF downloads. We have been helping to conserve The Zambezi Valley's wildlife and wilderness since 1982. The Zambezi Society believes that we owe it to future generations of Zimbabweans to ensure that those areas of the Zambezi river basin which have been classified as “State Protected” continue to be conserved as a valuable part of the national heritage. Unfortunately Zimbabwe’s National Parks, which are dependent on tourism revenue and donor aid and have received virtually no funds for decades due to the country’s unattractive economic and political situation. The result is poor staff morale, inadequate living conditions, inadequate training, lack of planning and lack of efficiency. The Parks Authority’s funding priorities tend to be skewed towards income-generation (through tourism), with essential park management, conservation, anti-poaching and research being severely neglected. Since its inception, The Zambezi Society has consistently provided material assistance for essential Park activities such as wildlife protection, anti-poaching, animal welfare and research activities, and continues to do so. The Society has also assisted in the development of Park planning, specifically for the core areas of the Middle Zambezi Biosphere Reserve – Mana Pools National Park and World Heritage Site and Matusadona National Park. 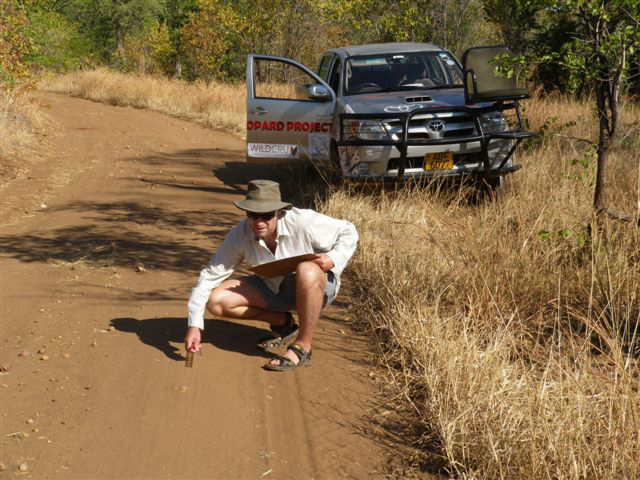 The Zambezi Society assisted the University of Oxford Wildlife Conservation & Research Unit (WILDCRU) in carrying out spoor transect surveys in Mana Pools National Park as part of a National Predator Survey in Mana Pools National Park. The surveys were carried out with the use of a dedicated Zambezi Society vehicle sponsored by Toyota Zimbabwe. training people from National Parks, Rural District Councils and the Forestry Commission in survey and monitoring techniques. promote community-based wilderness areas to provide opportunities for local revenue generation through carefully-managed, sustainable tourism initiatives. In 2006, the Society held its first Wilderness Management Training course for 20 custodians and managers of wild places from Zambia and Zimbabwe in Chirundu, supported by the WILD Foundation and the Wilderness Action Group. 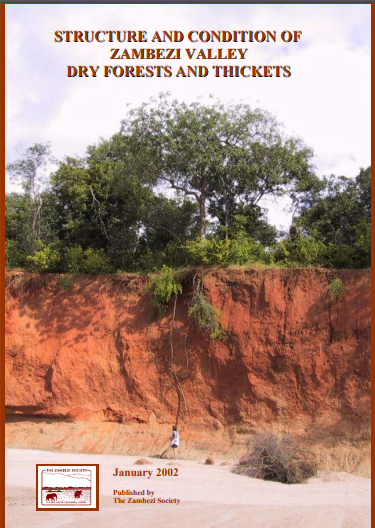 Publication: Zambezi Valley Wilderness Concepts & Practice Courses Report (Zambezi Society/Wilderness Action Group/CEAD – September 2006. Proceedings of a 10-day seminar for National Parks managers from Zimbabwe and Zambia, held at RIFA camp, on the Zambezi River. 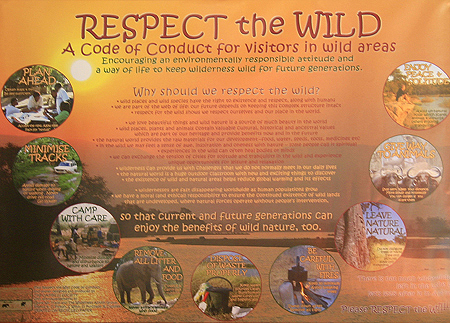 In 2007 the Society produced Respect the Wild educational posters and leaflets aimed at seeking to influence the behaviour of visitors to the Zambezi’s wild areas. These were distributed widely to Park stations, urban and rural schools and other outlets. Tragically, from 2000 onwards, as international funding was withdrawn, the black rhino population in Matusadona dwindled and the battle to protect them from poaching was lost. 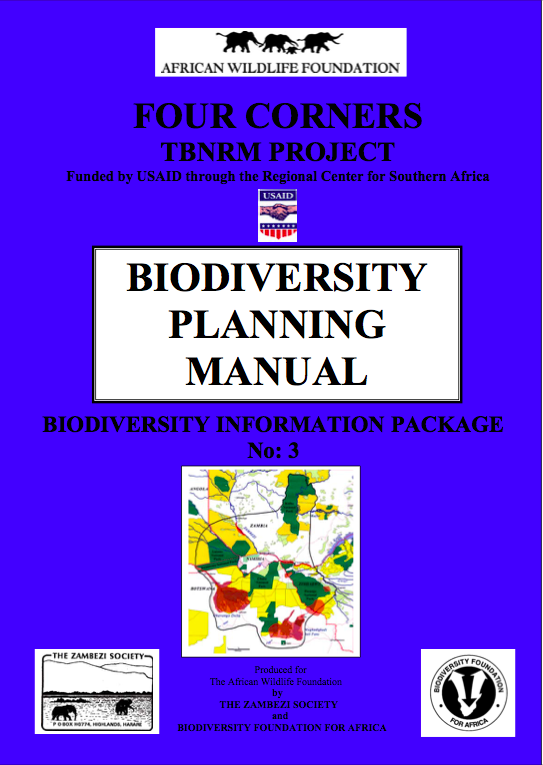 The Society, with its BFA partners undertook a biodiversity evaluation and information dissemination exercise for the African Wildlife Foundation’s “Four Corners” transboundary project. Centred on Victoria Falls and Livingstone towns, the Four Corners area encompasses four countries and includes the Okavango Delta, Chobe, Victoria Falls, Hwange and South Kafue National Parks. Biodiversity data was gathered, interpreted and packaged in user-friendly formats for planners, policy-makers, NGOs, academics and media in the region with the aim of influencing development decision-making to take biodiversity values into account. The Zambezi Society attached radio-tracking collars to 18 elephants in Muzarabani and Guruve Districts of northern Zimbabwe and monitored their movements on the Zimbabwe/ Mozambique border. Valuable information was gathered on the behaviour of this shared population. This enabled the Society a) to make recommendations to the districts on managing their elephant resource, including maintaining an elephant movement corridor identified by the research; b) to help the authorities in both countries develop a collaborative cross-boundary elephant management strategy. The Zambezi Society, having established a working partnership with a well-known British-based conservation organisation, Flora and Fauna International (FFI) embarked on a basin-wide conservation programme entitled the Zambezi Basin Initiative together with FFI and the Biodiversity Foundation for Africa. 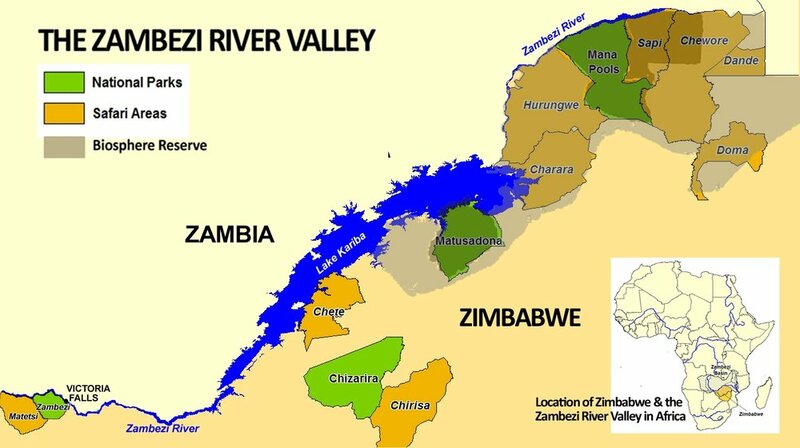 The pilot phase of this study was directed at the Cabora Bassa/Zambezi Valley trans-border area, where the borders of Zimbabwe Zambia and Mozambique meet. 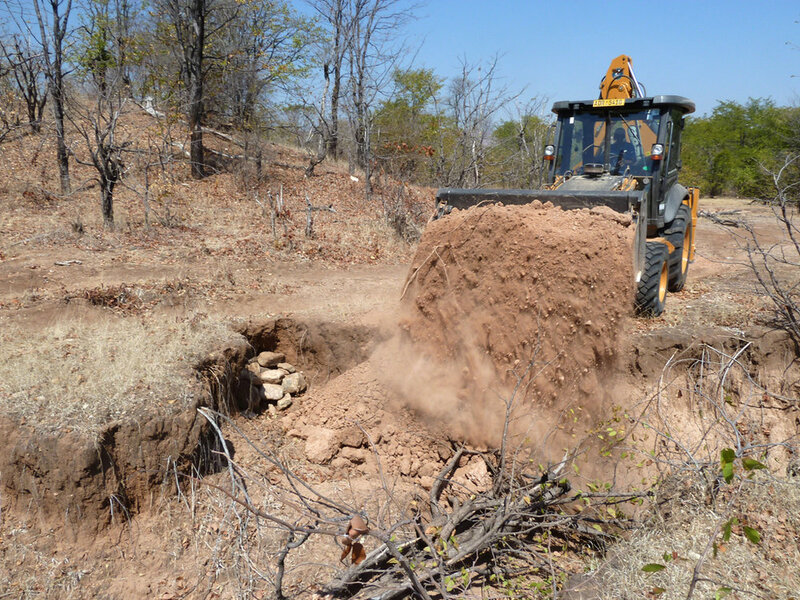 The Zambezi Society undertook a study of selected rare and threatened “dry forest” (jesse bush) sites in Northern Zimbabwe and Mozambique. Valuable data on the biodiversity and ecological condition of these isolated vegetation patches was collected and recommendations made for their future conservation. 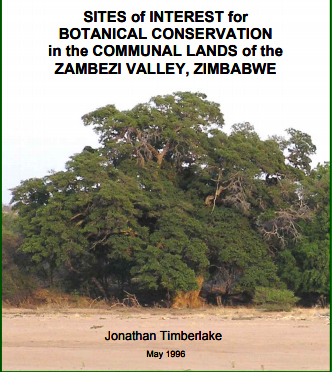 The Zambezi Society formed a partnership with The Biodiversity Foundation for Africa (BFA) in identifying 80 sites of high botanical interest within the Zambezi valley. Twenty of these were prioritised for urgent conservation action and the Society worked with local communities to develop ways of using the natural resources within these areas as an incentive to conserve them. 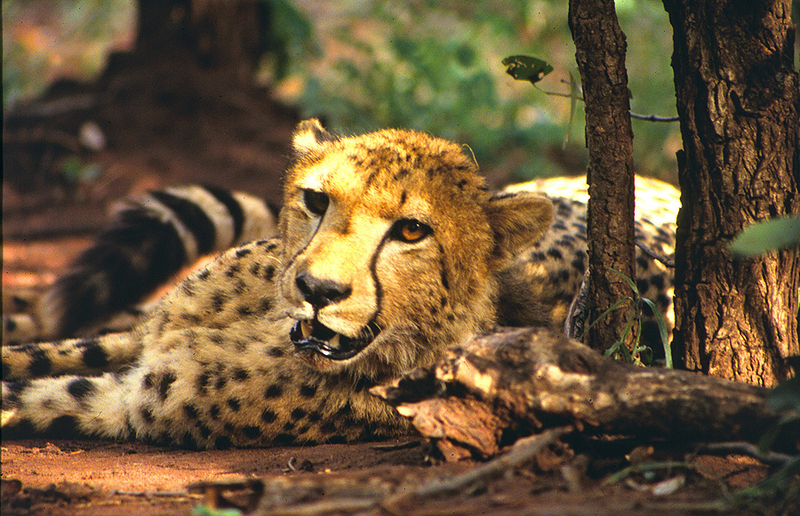 The Society aided the Zimbabwe Parks & Wildlife Management Authority in the experimental translocation of 15 “problem” cheetah from farmland in Zimbabwe’s Lowveld to the Matusadona National Park. Over a three-year period these animals were released into the Park, after being held for several weeks in a natural “boma” specially-constructed with funds provided by local tour operators, The Zambezi Society and international donors. The Society then began a research and monitoring programme for these animals. An initial assessment of the success of the Zambezi Society’s cheetah re-introducation project in the Matusadona National Park in Zimbabwe, four years after it was completed, was undertaken by Gianetta Purchase. The study concluded that although the existing population of cheetahs was viable and the translocation had been a success, an increase in the cheetah population to more than 25 was unlikely because of restrictions in the availability of suitable habitat and the high density of lions in the Park. A second follow-up survey of the cheetah re-introduced into the Matusadona National Park in Zimbabwe between 1992 and 1994 was undertaken by Dr Gianetta Purchase. The results showed that a viable cheetah population of some 20 animals has been successfully established within the Park as a result of the translocation, and that the surrounding human communities have not suffered any adverse effects. The Zambezi Society became involved in a CAMPFIRE project in Muzarabani District in the northern Zambezi valley in order to gain some experience in rural community resource management. The Society assisted with the formation of the Mavuradonha Wilderness Area, over 500 sq. kms. of valuable Zambezi escarpment flora and fauna – the only protected area which lies within communal land and is administered by the local community. 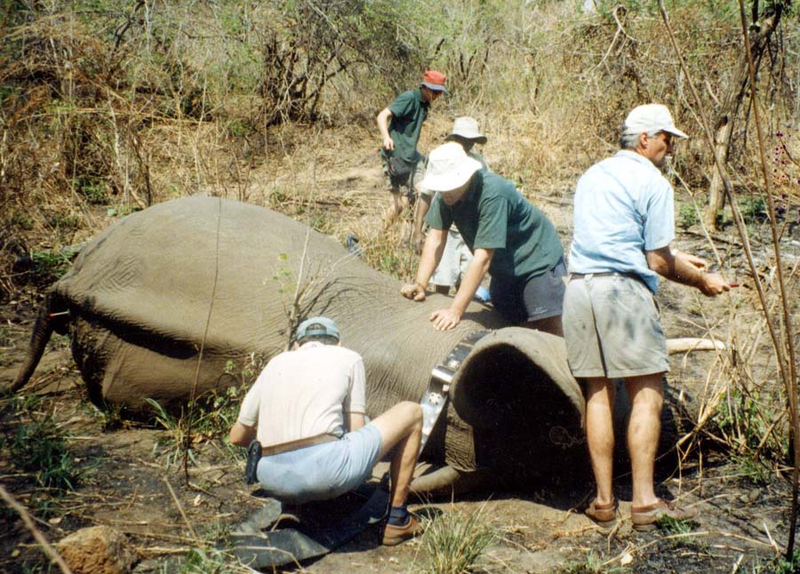 The Society was instrumental in sourcing funds for a variety of community wildlife management projects in this area many of which sought to address the elephant/human conflict issue. The Society extended its community work into neighbouring Guruve District, and into the Tete Province of Mozambique across the international border. The Society’s involvement in community work in this area was scaled down in 2000 when political instability in the area made it difficult to continue. The Society was sponsored by the Wildlife Conservation Network to exhibit at the 2016 Wildlife Conservation Expo held in California. We outlined the work being done to protect the Zambezi's elephants. The Zambezi Society Director visited the USA for six weeks as part of a training programme on the theme of Parks, Biodiversity and Ecotourism Management. The Zambezi Society Director attended this congress in Barcelona as part of the Zimbabwe delegation at the invitation of IUCN. Again at the invitation of the WILD Foundation, the Zambezi Society attended the 8th World Wilderness Congress in Alaska with a team of community representatives from Tete Province in Mozambique. They outlined the Biosphere Reserve land planning exercise for this area and benefitted from a pre-Congress wilderness training course. At the invitation of the US-based WILD Foundation, the Zambezi Society attended the 7th World Wilderness Congress held in Port Elizabeth, South Africa and presented a paper entitled: The Zambezi River: Wilderness and Tourism. 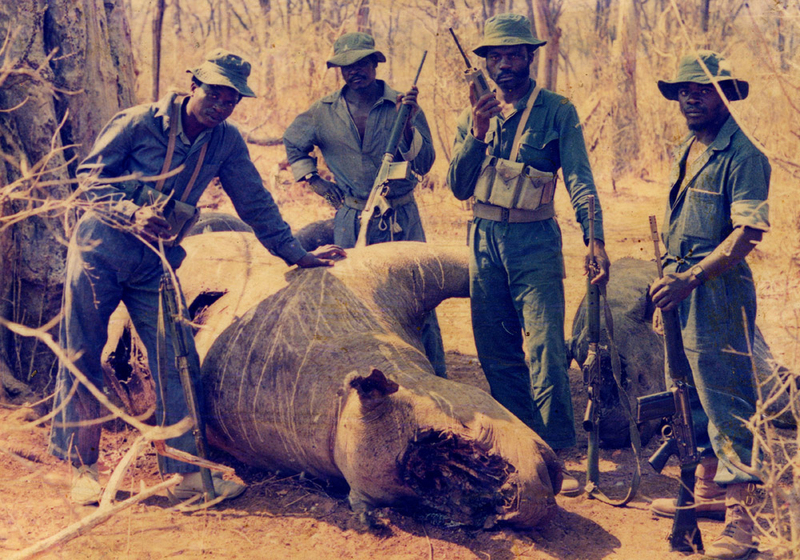 The Zambezi Society has long maintained a seat on the Zimbabwe CITES (Trade in Endangered Species) technical committee and continues to liaise with the Zimbabwean government and the ZimParks Authority on CITES issues.